Transitional Space with light and dark woods combined make for a more casual way of life. 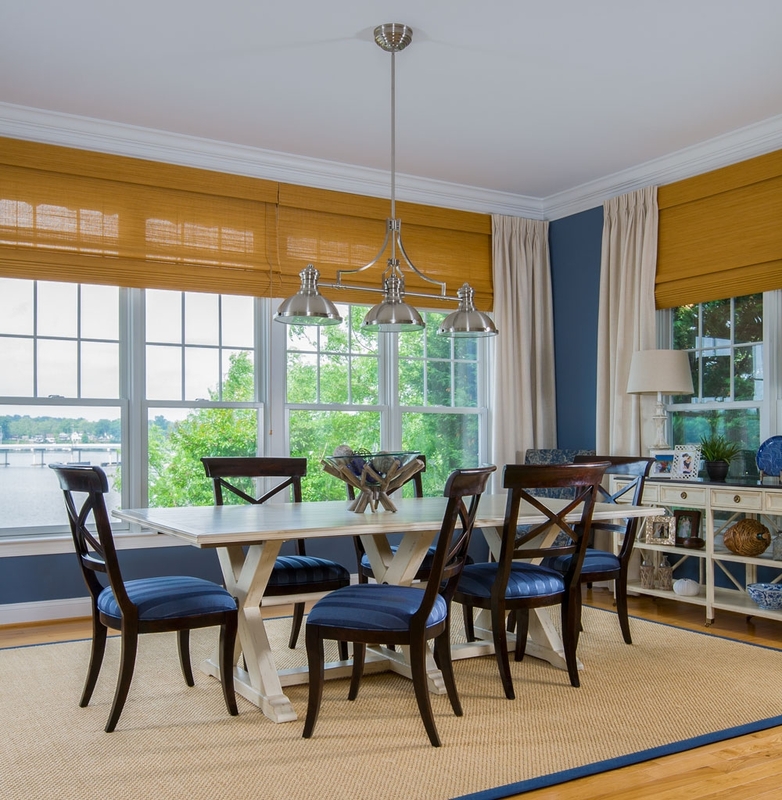 The expansive waterfront view of the South River is framed out beautifully with our tailored stationary panels and wood shades. The Custom built in and Fireplace rework set the tone for the new Living Room. 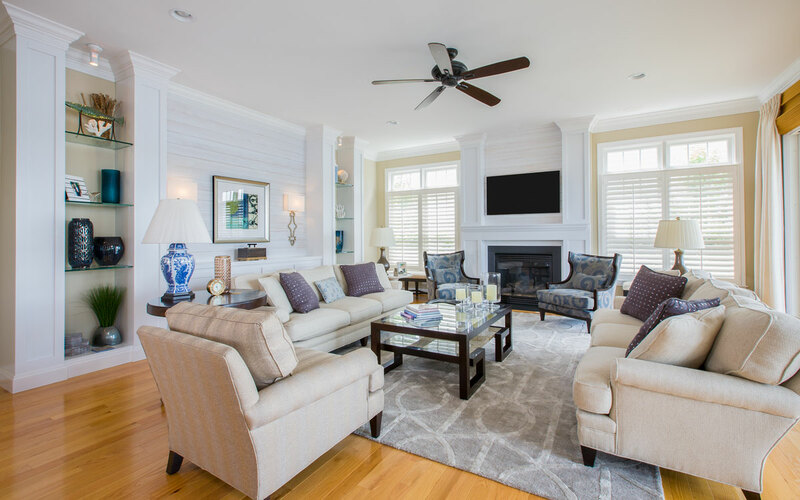 The backdrop to the built-ins was a sort of whitewashed shiplap wood wall detail. 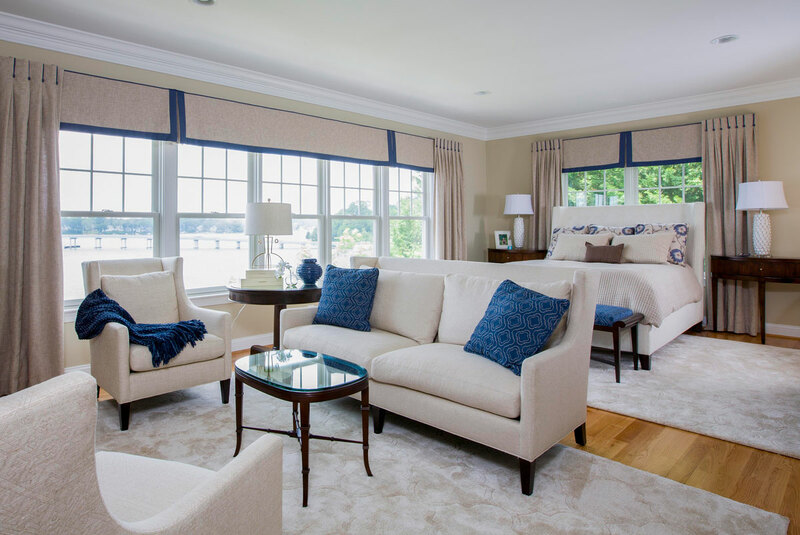 A clean neutral palette of fabrics in the linen tones made the space very comfortable. In this newly furnished Master bedroom we created two spaces, the bed area and a sitting area to get away from the kids and enjoy a movie.